When Cecil B. DeMille embarked on his film career in 1913, the film editor (or “cutter”) did not exist as a discrete post. It was the director’s job. 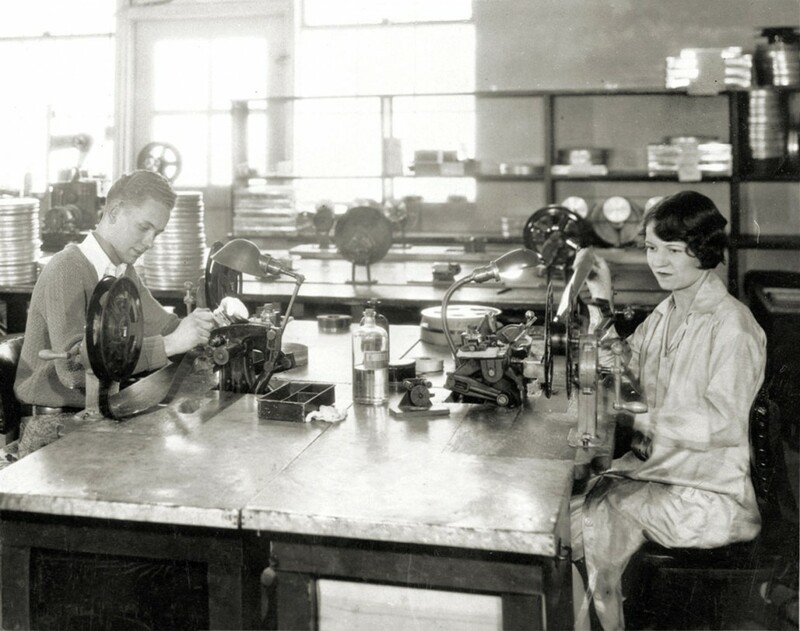 DeMille used rewinds and a magnifying glass to edit The Squaw Man. He continued in this function for four years and thirty films before delegating the task. Having done so, he allowed his editor to assemble scenes and sequences, never looking over the editor’s shoulder. DeMille would screen the footage and give the editor suggestion notes. In the studio era of the 1930s and 1940s, few directors participated in the editing process. This was the domain of the producer. DeMille was a producer-director, but he nonetheless stayed away from the editing bench. William DeMille hired Anne Bauchens as a secretary in New York in 1912. When Cecil brought William to Hollywood in 1914, Anne came with him. She noticed continuity problems between shots at Famous Players-Lasky. To remedy these, Anne invented the job of script clerk. After she had done this for a time, she joined Cecil as a “cutter” on We Can’t Have Everything (1918). She edited his next forty films; he would work with no other editor. In 1941 she was honored with an Academy Award® for her editing of North West Mounted Police (1940). 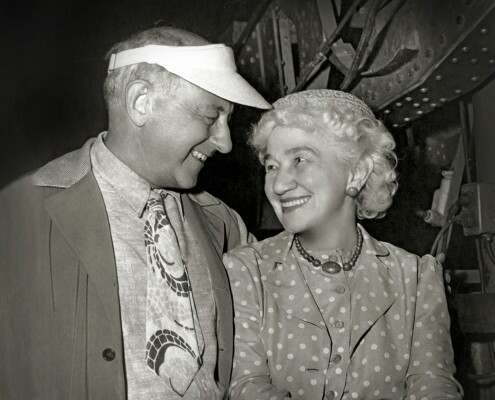 She had the herculean task of editing DeMille’s last film, The Ten Commandments (1956), and she was in her office in January 1959, when he died. Anne Bauchens worked for Cecil B. DeMille longer than any other staff member.